Cadia Cemetery, a short distance south of the village, was located at a tranquil spot on the east bank of Cadiangullong Creek. The first burial is recorded on the 30 November 1864 of Mary Jane Ford, aged 3 years, who died of worm fever and convulsions, after suffering for 6 days. The last burial is recorded on 2 September 1927 of Cecil Thomas Birks, aged 22, who died after a car ran off the road into a creek near Cadia. In between these two dates there was a total of 110 burials of individuals who had lived in Cadia Village or on the surrounding farms. Only some of the families were involved in mining. In 1992 Newcrest Mining discovered the Cadia Hill orebody and began establishing what was to become one of the largest open cut gold mines in Australia. One of the challenges that Newcrest faced with this project was the relocation of the 19th century Cadia village cemetery which was situated within the orbit of the mining development. Newcrest made every effort to contact descendants to seek their permission for the relocation, prior to seeking approval from the NSW Heritage Office. 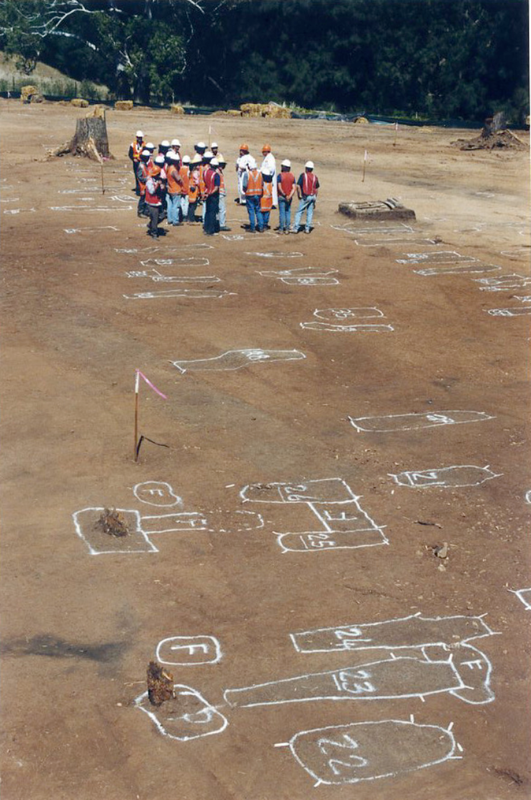 With the relevant permits in place, a team of fifteen archaeologists and forensic experts exhumed the cemetery in 1997 and 1998 in advance of mining. Historians researched the lives and deaths of each of the occupants of the cemetery and recorded the information as a valuable resource for the Cadia community. With only four headstones marking the graves of six named individuals in the cemetery, one of the primary goals of the exhumation was to identify and name as many as possible of the individual burials. Using dental records, skeletal records and personalised grave goods it was possible to identify 47 of the 110 burials. 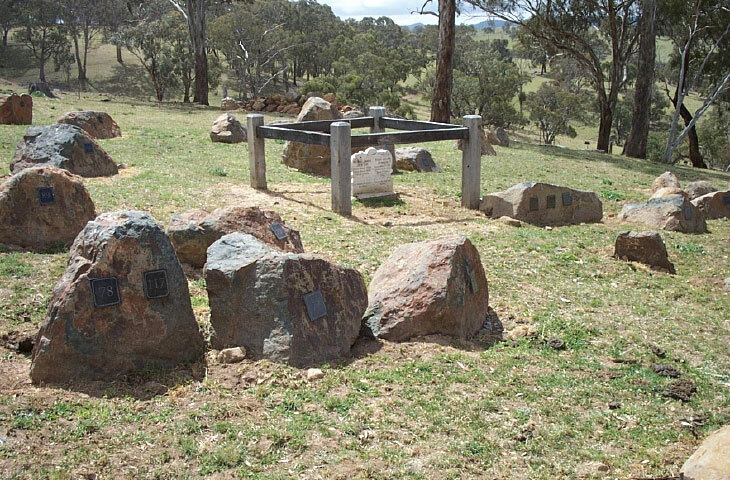 Following forensic examination of the burials, the remains were re-interred in a Garden of Remembrance adjacent to the heritage-listed Cornish Engine House on the western wall of the Cadia Valley. The layout of the Garden of Remembrance is a replica of the original cemetery with gravestones repaired and re-erected and unmarked graves marked with basalt boulders. The names, age and date of death of all burials are recorded, if known, on permanent information display at the Garden of Remembrance. The grounds of the Garden of Remembrance are maintained by Newcrest and descendants and visitors are provided with guided tours of the cemetery and information on the ancestors on request. 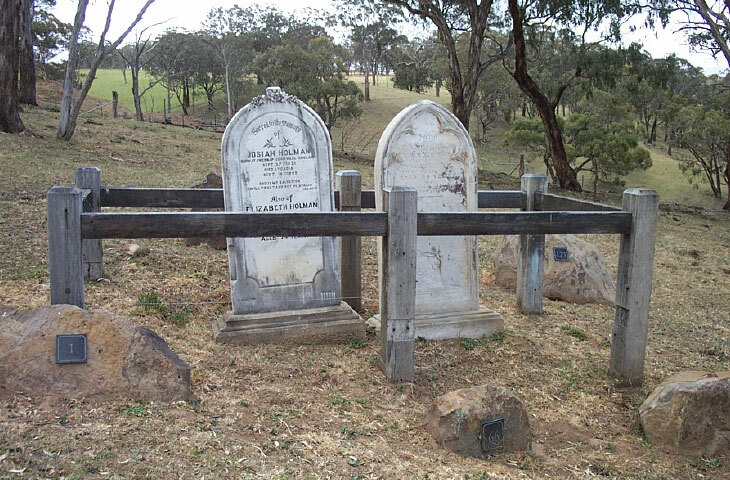 Very few 19th century cemeteries have been exhumed in Australia and this project provided a rare opportunity to study Australian burial practice over the last 150 years and to add to the history of the Cadia region. The study of the cemetery revealed the appallingly large numbers of infant or child deaths, many from diseases that are easily cured today. If one could reach the age of two or three, then one’s chances of living to adulthood were much greater. The records reveal several tragedies. Robert Roberts, the Cadia storekeeper, and his wife lost six infant children between 1871 and 1878 from childhood diseases. As may be expected in a community associated with a mine or place or work, more men than women were buried at Cadia Cemetery. Several adults died from mining or other work related accidents, others died of old age or by misadventure. Forensic analysis revealed the poor level of dental care. Only two people were buried with dentures, another possessed the only evidence of tooth fillings. Dental care was expensive and was limited to those who could afford the price. Most suffered the indignity of tooth extraction, a significant number losing all their teeth. The coffins themselves and their distribution revealed aspects of life and death, faith and beliefs. Some of the children were buried in simple wooden boxes made by their families. Several children and a few adults were buried in traditional shouldered coffins with no other furnishing. By far the largest number was buried in furnished coffins, with ornate handles and decorative metal plates and trimming, exemplifying the Victorian way of death and its symbolism. Analysis of these furnished coffins reveals that most are likely to have come from one source, probably Orange, and were provided along with the services of an undertaker. By the beginning of the twentieth century, new fashions in coffins were beginning to be seen and were chosen by the few who could afford the luxury. By 1927, the final year of use, all three burials in the cemetery had coffins in the new styles, now more freely available. 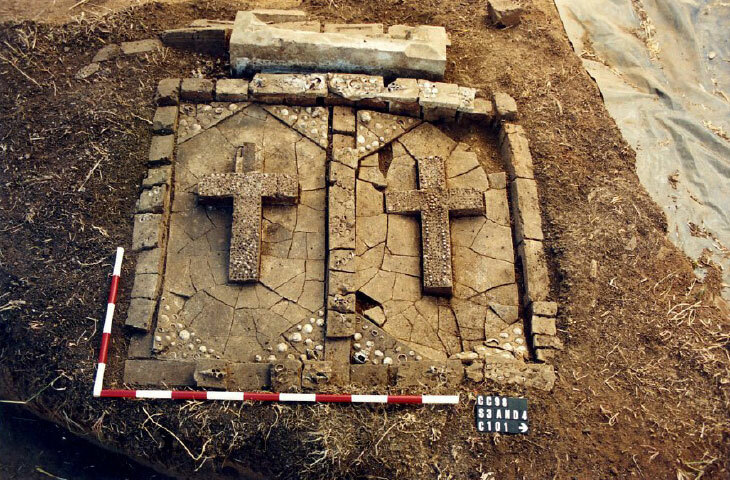 Most of the individuals were laid in their coffins in shrouds or winding sheets, as indicated by pins and buttons, while others were buried in clothing. A few were buried with items of jewellery, all costume jewellery except in one case. Some had other items, like a baby’s feeding bottle or a dinner plate. Persons of different Christian denomination were buried in close proximity. It was only in the final years of use that anything like a Roman Catholic Section became apparent at the centre of the cemetery. All were buried in an east-west orientation. Only a few have their feet at the west end. All others had their heads to the west end, following the traditional custom and belief that they would one day rise to see their Saviour coming from the direction of the rising sun in the east. The stripping of topsoil by machine revealed the changes in soil colour and texture for each grave cut, here marked out with survey paint. Before any hand digging of individual graves, a multi-denominational service was held to give blessing for the project (Tony Jenner, 1998). 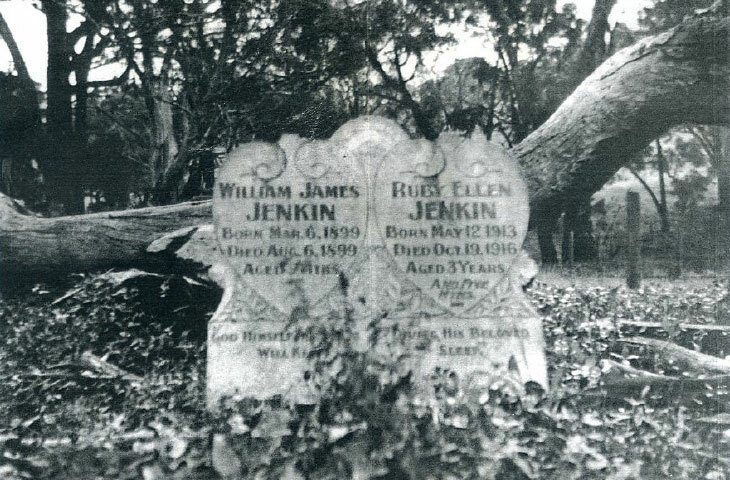 The twin gravestone of the Jenkin children, before it was crushed under a fallen tree (French Collection). The concrete grave slab for the Jenkin burials, as revealed by excavation. The concrete is inlaid with sea shells and coloured glass (Tony Jenner) (1 metre scale in foreground). 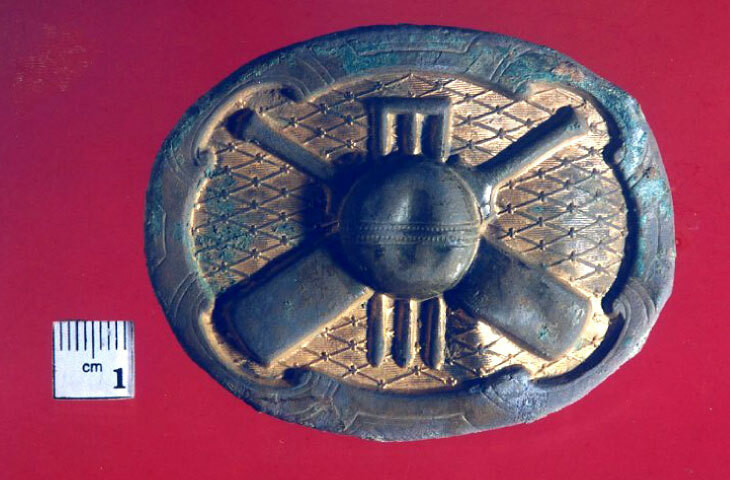 A belt buckle recovered from Burial 47 shows that the passion for cricket in this life was carried into the next with high hopes of a century against the opposition (Tony Jenner, 1998). 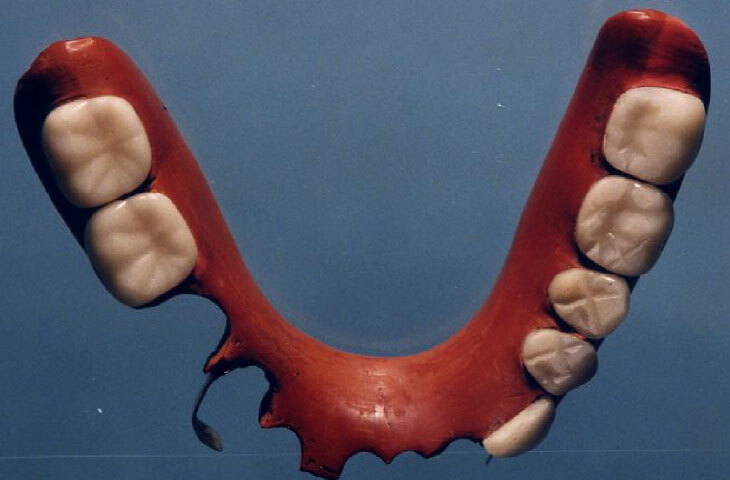 While many teeth were lost or extracted, not everyone was lucky enough to have dentures or take them with them when they departed (Tony Jenner, 1998). The Jenkin headstone re-erected in the Garden of Remembrance, near Cadia Engine House. All other burials were marked with large boulders, with the burial number attached, laid out exactly as they had been found in Cadia Cemetery (Edward Higginbotham, 2002). The gravestone of Josiah and Elizabeth Holman has been re-erected in the Garden of Remembrance, next to the one for their daughter, Emily Louisa Blood (nee Holman) (Edward Higginbotham, 2002). 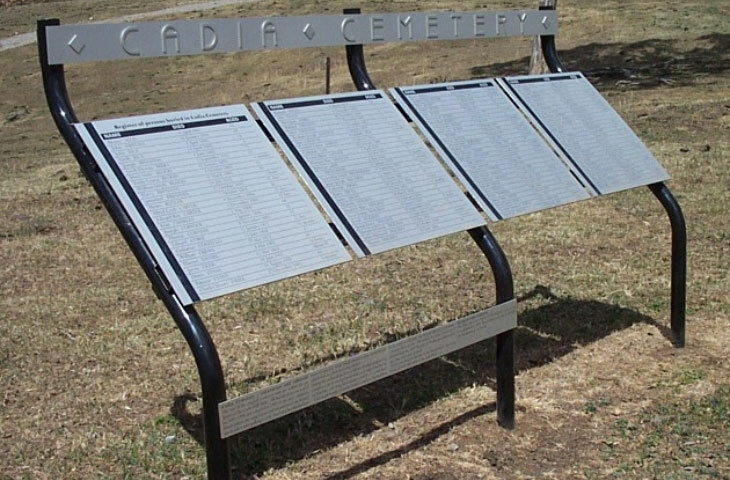 The list of those buried in Cadia Cemetery is reproduced in the Garden of Remembrance (Edward Higginbotham, 2002). 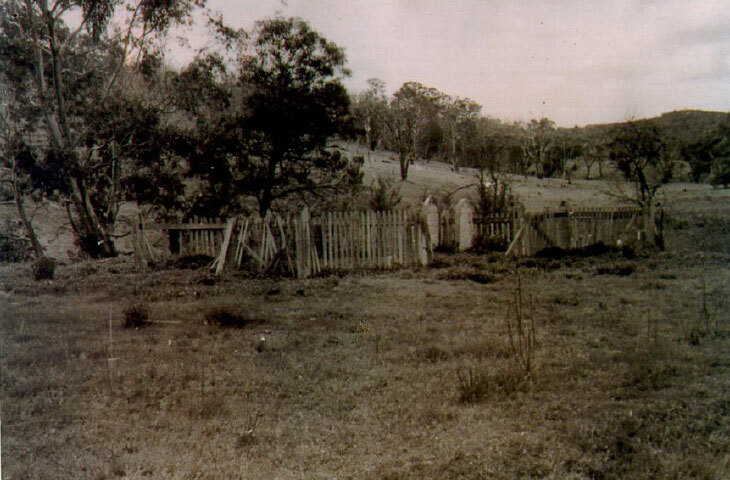 Originally painted white, the timber picket fence around the Holman and Blood family graves was in a poor state of repair when this photograph was taken. The two surviving gravestones can be clearly seen (French Collection).